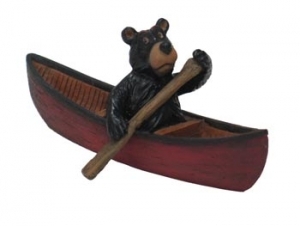 Willie bear paddling a canoe makes a great gift and can also double as a Christmas ornament. Willie bear paddling a canoe makes a great gift and can also double as a Christmas ornament. Measures 1.5 x 4.25, comes with rope hanger. Color is red.